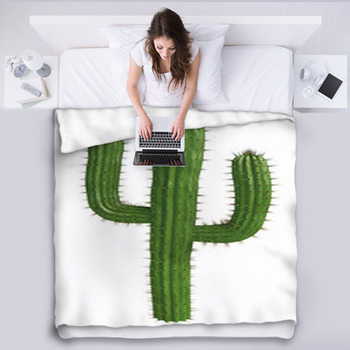 The desert is a great place that the cactus plant can be found in but it can also be a cold spot at night. The starry sky may be beautiful but the deep deserts of the world can prove to be as cold at night as they are hot in the daytime. 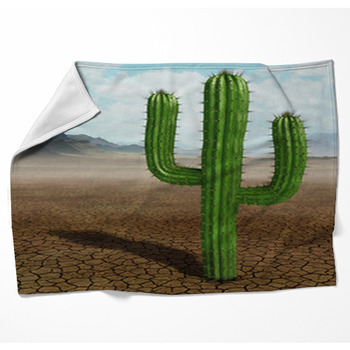 Our cactus blankets will give you some comfortable and soft feelings as you’ll feel relaxed and warm even when it’s chilly out. 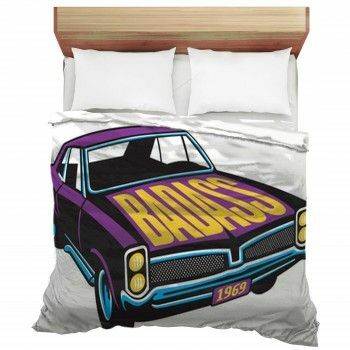 Partner it with a bedding to bring that comfort to your own bedroom. 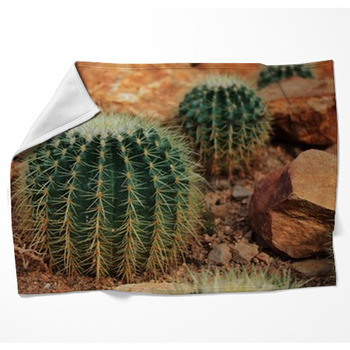 We have some great cactus blankets that are classy and beautiful thanks to how they come with some great colors all around. 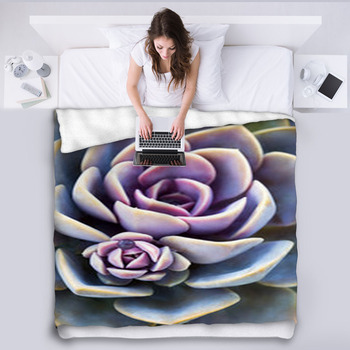 We have options that feature green colors, of course, as well as some with predominantly brown or blue tones depending on if it’s a daytime or evening scene that you’re looking for. 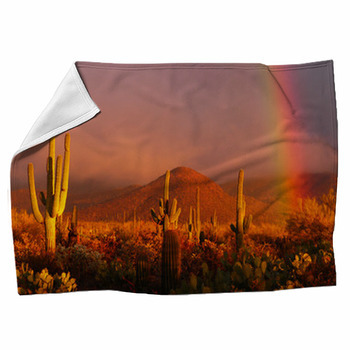 Your blanket will certainly keep you warm as well thanks to how it comes with a soft fleece surface. 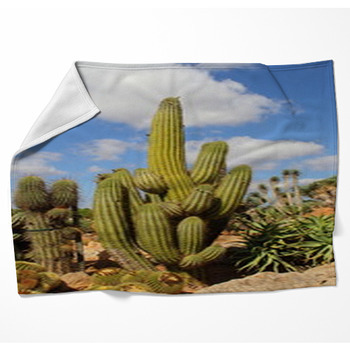 This comfortable surface will come with a plain color of your choosing while your cactus pattern will be on the top with a microfleece layer on it. 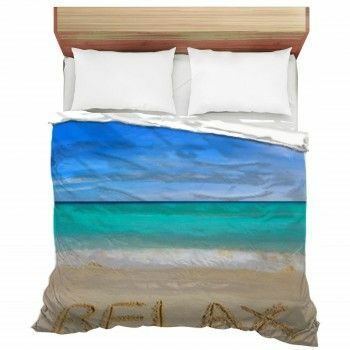 This should add a relaxing tone that is nice to hold in any place. 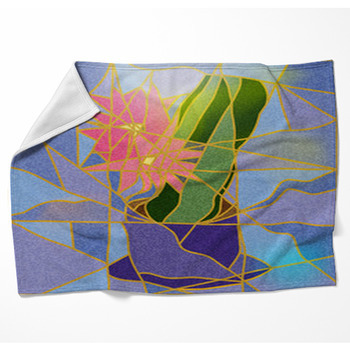 You can order a blanket in one of many different sizes from us. 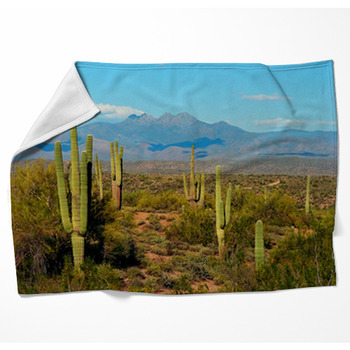 You can also choose to get one or two fleece layers on your blanket depending on what you prefer. 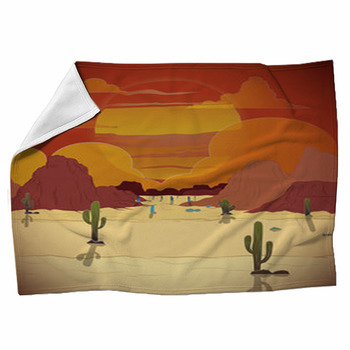 You can always wash your blanket on a gentle setting in a washing machine as well.